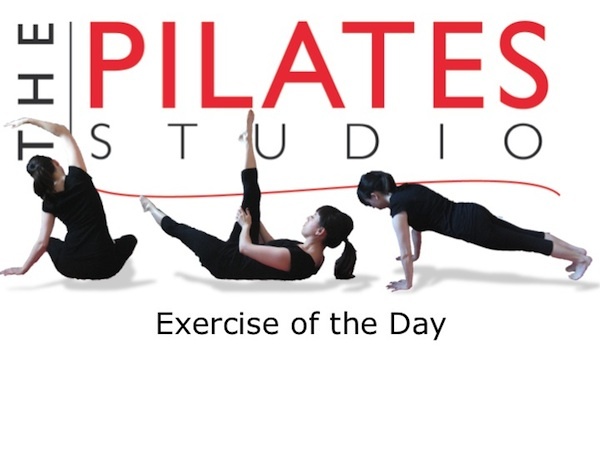 This exercise allows the body to begin disassociating the movement of the shoulders from the head, neck, and torso. To do this exercise you will need a mat. Start by standing on your hands and knees with a lengthened and supported spine. Inhale into the back of the ribcage and then exhale as you maintain stability in your spine and lift one arm into the air. Inhale as you return the arm to the ground and then exhale as you lift the other arm into the air. Repeat each side 5-6 times. Axial length is essential to this exercise. Before lifting the arm be sure that your head is inline with your spine, and that your spine is supported from the front. Then the essence of the exercise is maintaining stillness in the torso as the arm moves. Allowing the shoulder blade to slide down the back is also important to this exercise. As the arm lifts feel the shoulder blade connect to the ribcage away from the arm.